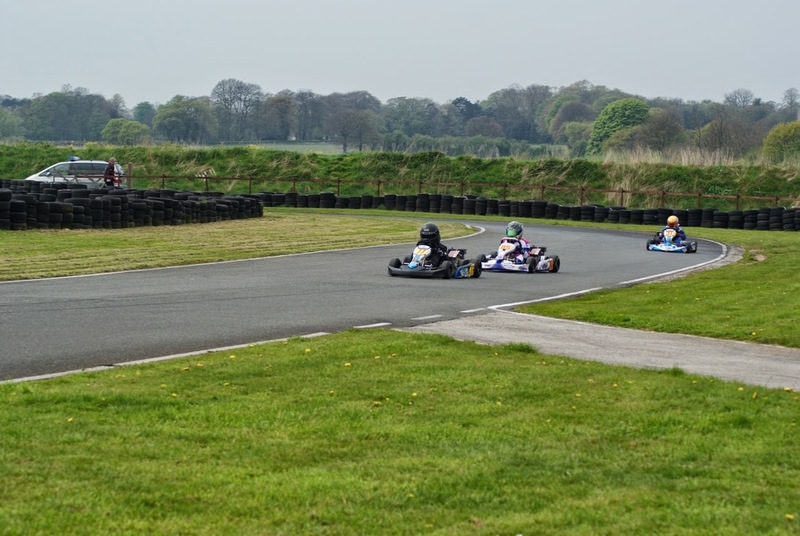 The third round of Cheshire Kart Club 2014 Championship took place on Sunday 20 April. 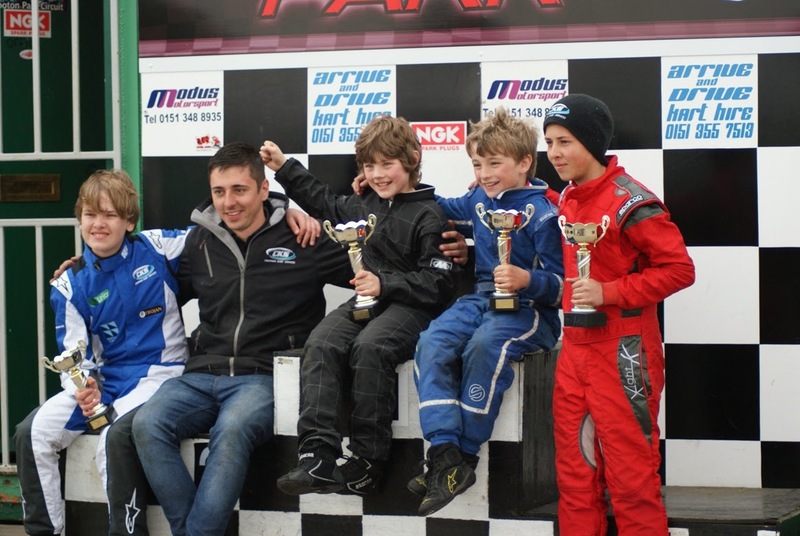 With 5 Hondas racing, Samuel was given 2nd, 1st and 3rd for his random grid starts. 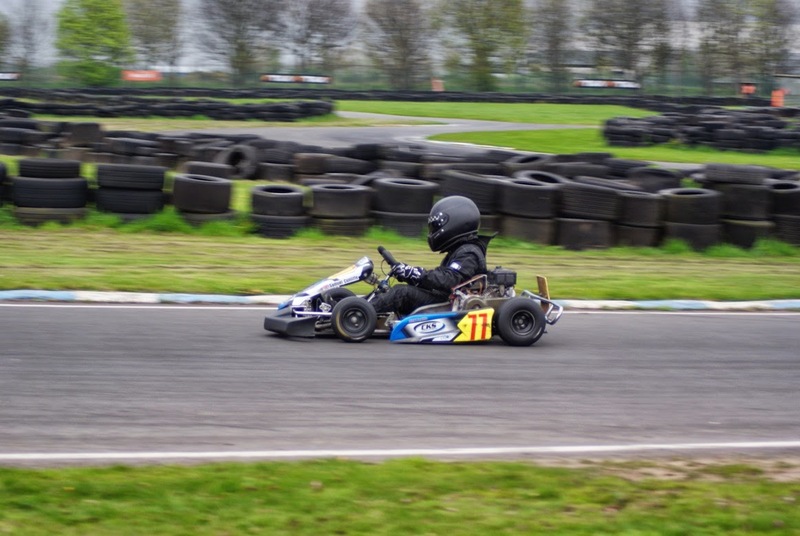 He had a very close first heat with Kai Hunter, exchanging the lead a number of times; Samuel crossed the line in second place 0.2 seconds behind but claimed the fastest lap of the heat with a 42.75. 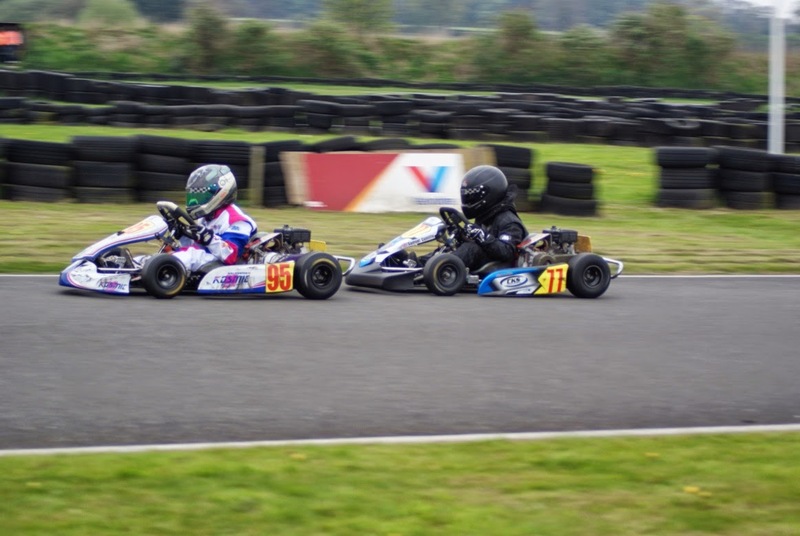 Heat two and Samuel lead most of the heat but again, very close racing and he crossed the line in second place 0.1 seconds behind Kai. 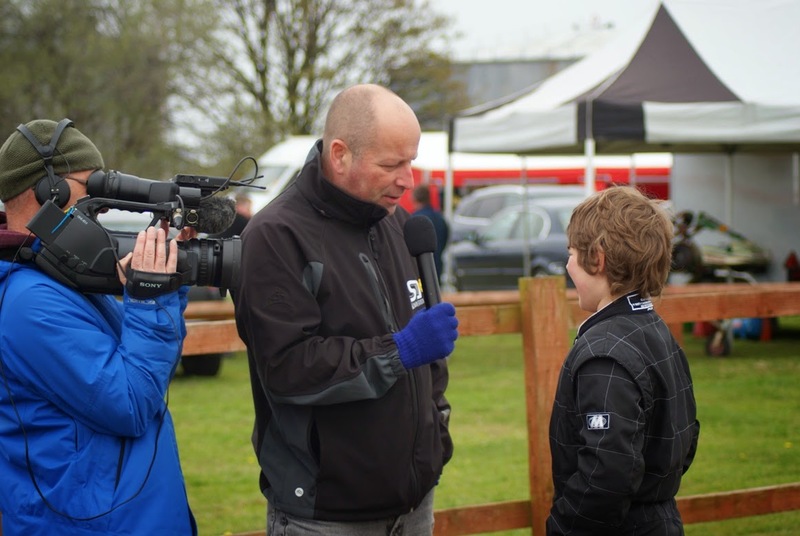 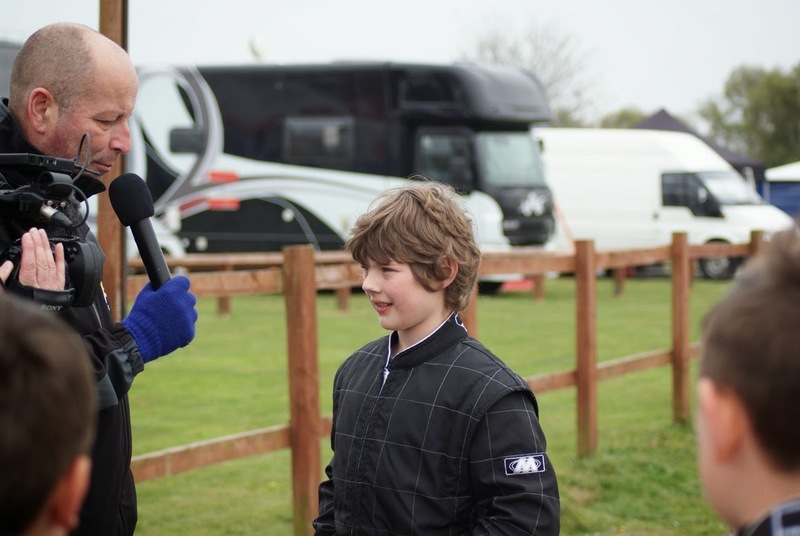 During the lunch break Samuel was interviewed by a film crew from Super1 TV Productions. 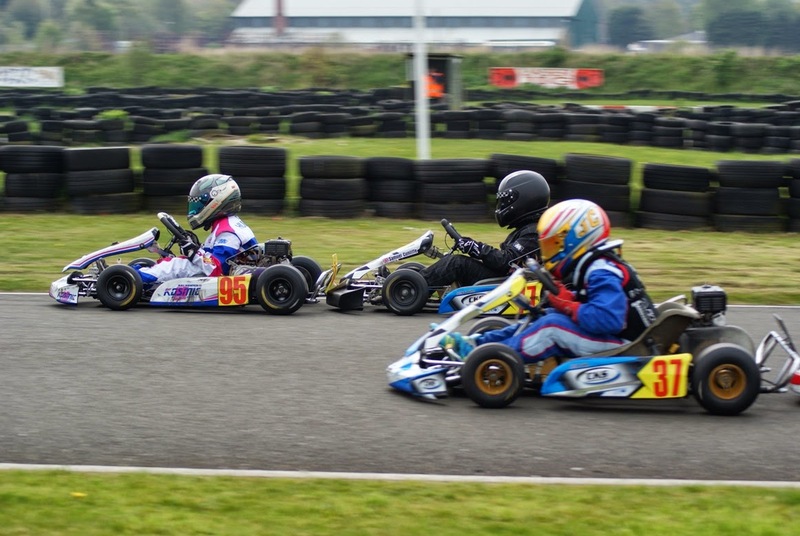 Third heat and again, Samuel lead most of the heat and this time the times were even closer with him and Kai virtually side by side crossing the start finish line. 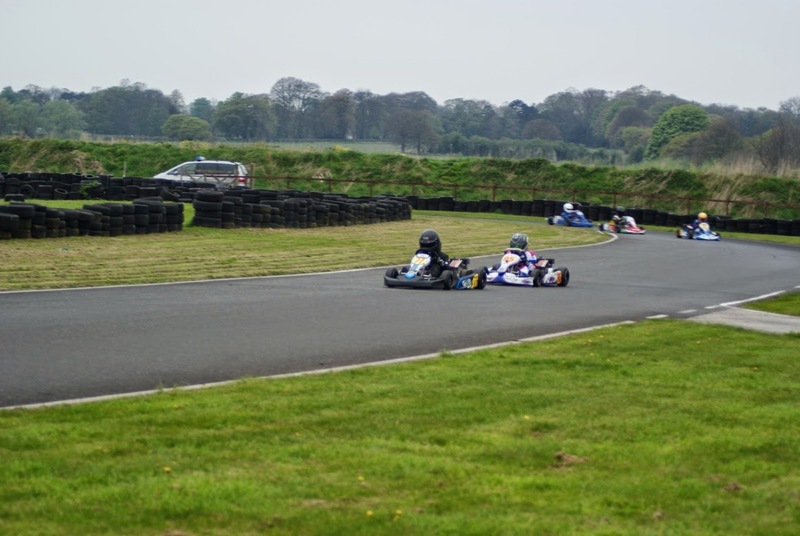 Samuel claimed the fastest lap again with a 42.54 second lap. 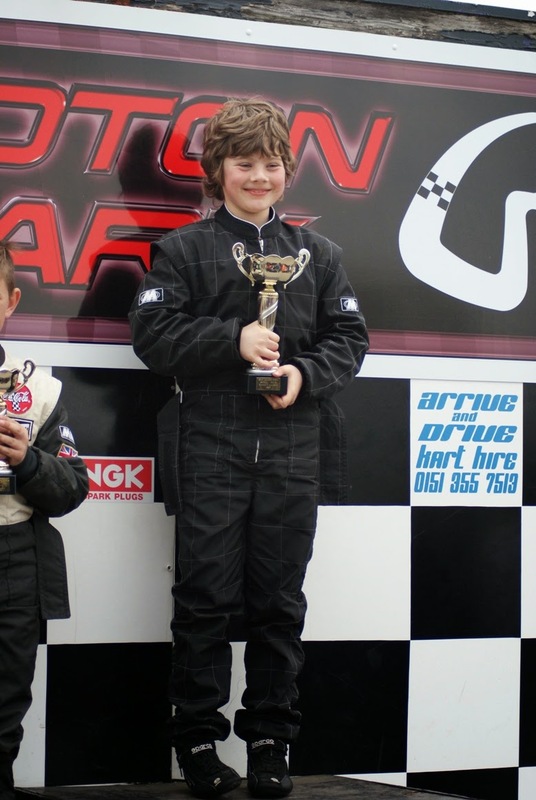 Samuel started in second place in the 12 lap final. 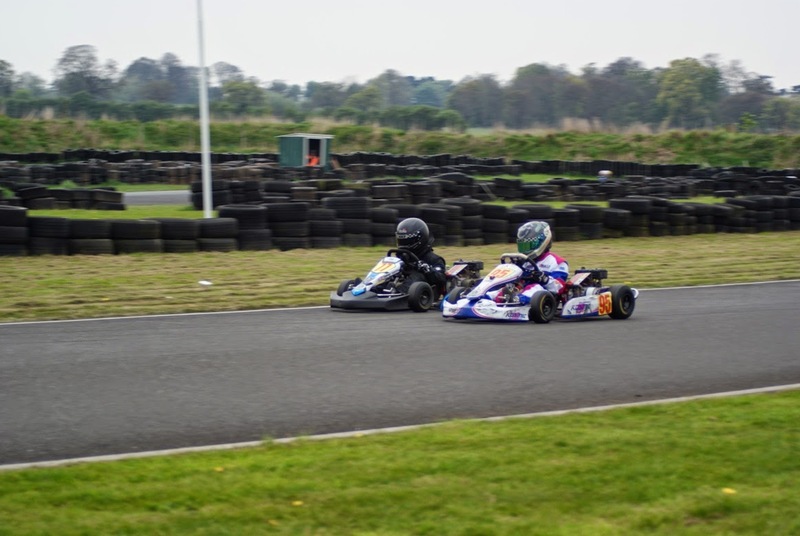 And once again, the racing was very intense with Samuel gaining the lead on lap 4 - him and Kai crossed the line at the same time but Samuel gained the advantage and stayed in the lead until lap 9 when he dropped back just 0.08 seconds. 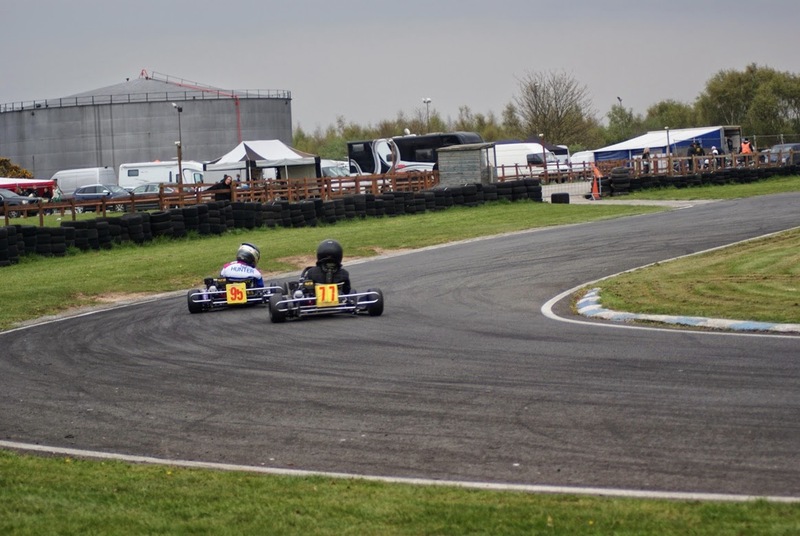 He pulled it back on the penultimate lap and set a new Championship lap record of 42.31 (and also track lap record!) 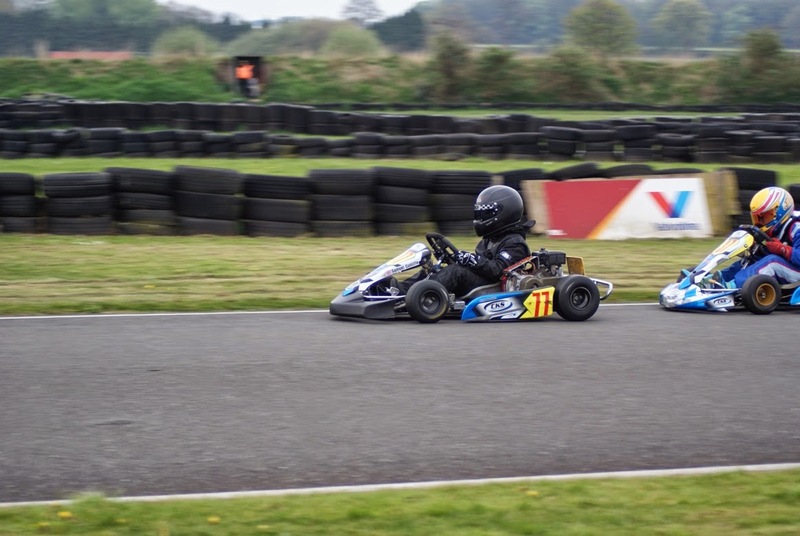 Kai gained an unfair advantage on the next to last corner of the last lap, pushing Samuel off and was subsequently disqualified; Samuel took the win and the top step on the podium. 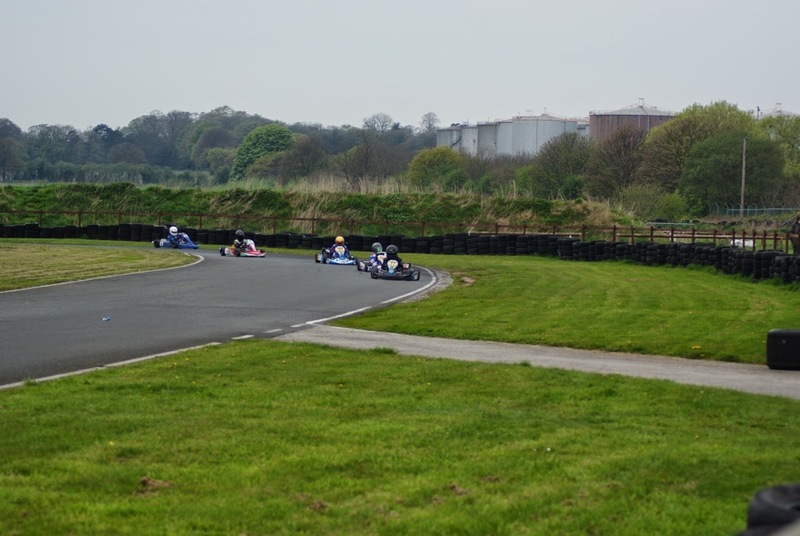 Collectively, the CKS team had a great racing day - as well as the Honda Cadet win, Ross took home the IAME Cadet, Nathan the Mini Max and Aaron a second place in the Senior Rotax final.